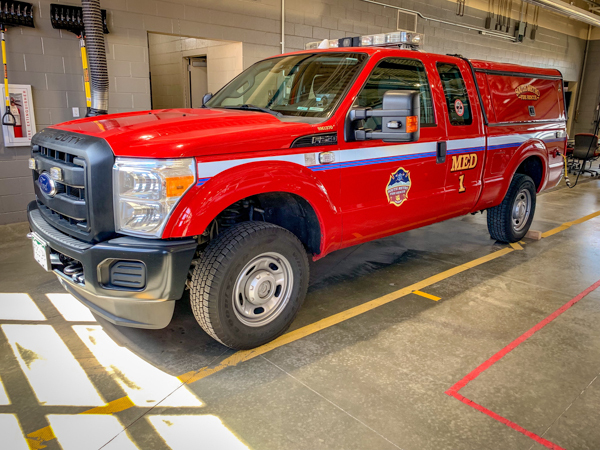 Fire Station 34 is located at 8871 Maximus Dr.
(2200) Ford F-150 4×4 XLT, former District 3. 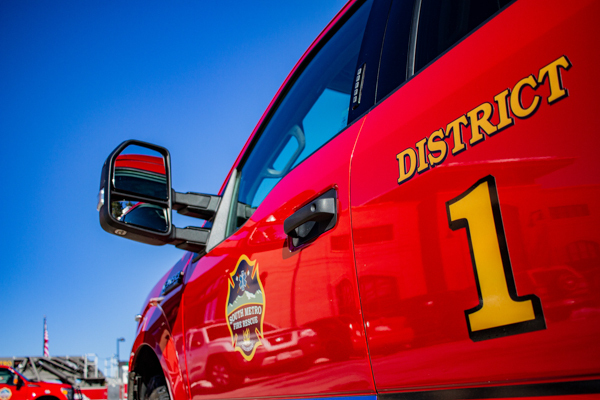 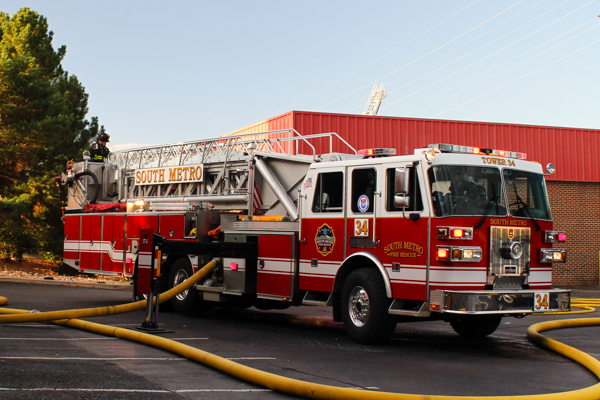 District 1 serves as the shift commander and responds to incidents like a battalion chief. 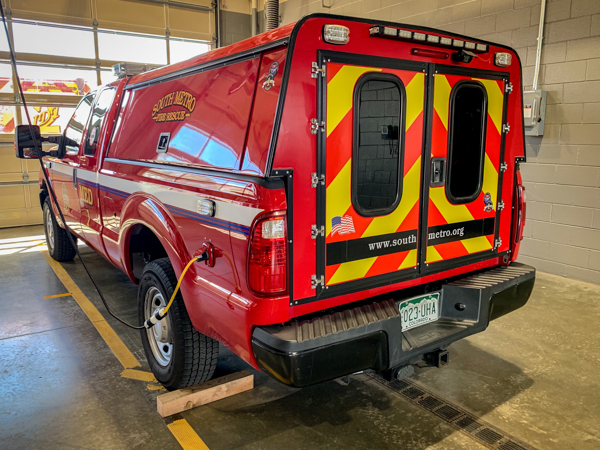 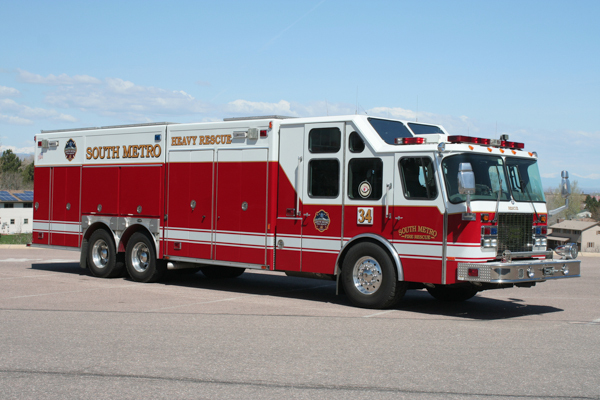 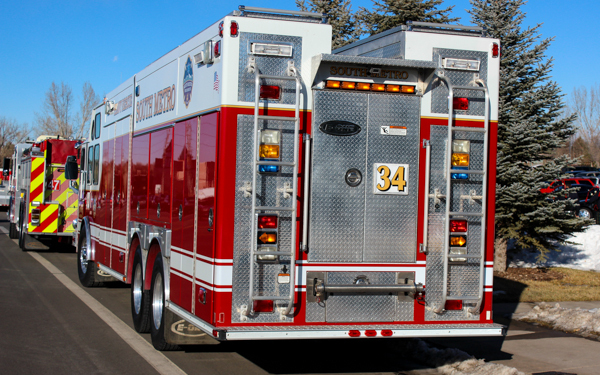 2016 Pierce Velocity (28985) 95′ mid-mount platform 300 gallon water tank / 2000 gpm pump (Hale). 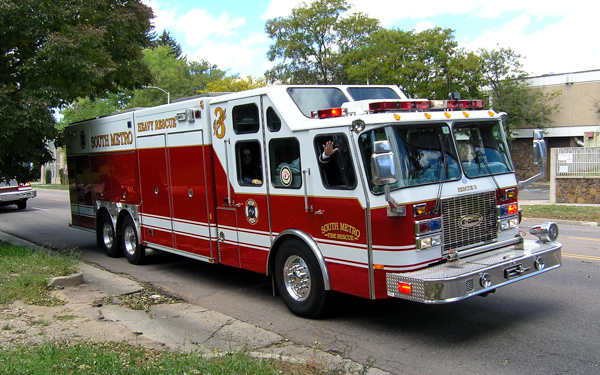 (3326) 1999 E-One Cyclone II (E-1 19838), also ran as Rescue 3. 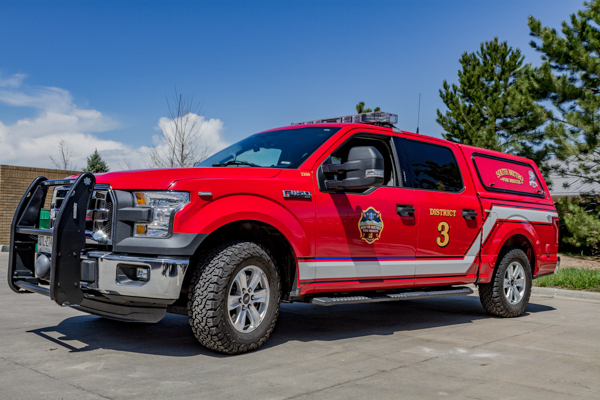 (2225) 2012 Ford 4×4 / PL Custom. 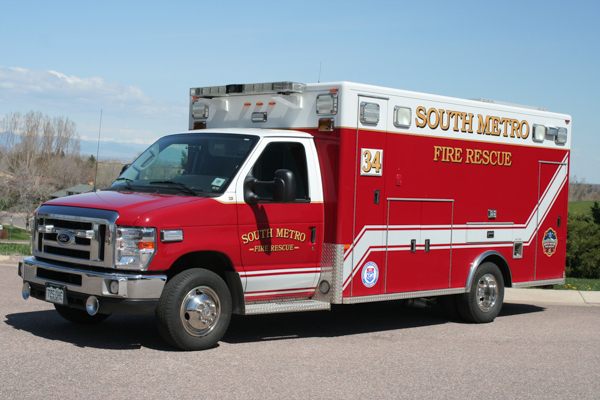 (SM1370) Ford F-250 4×4 XL Super Duty. 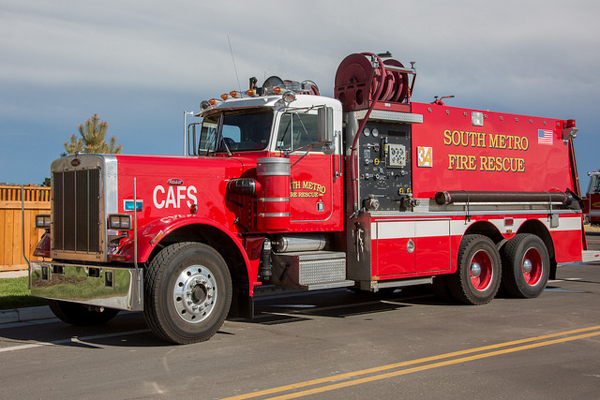 1976 Peterbilt / SVI 2600 gallon water tank (CAFS). 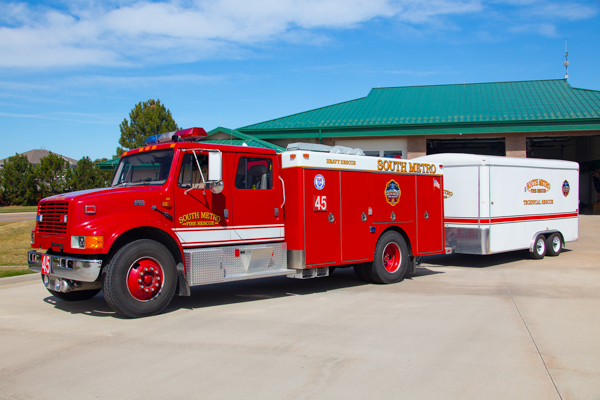 (329) 1995 International 4700 / SVI, shown here with the trailer (Technical Rescue Team). 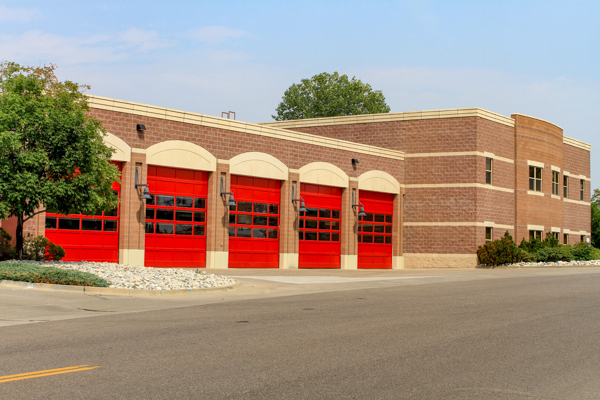 Fire Station 4 located at 8871 Maximus Dr. and is the former Castlewood Fire Protection District Station 4, at the same location and replaced. 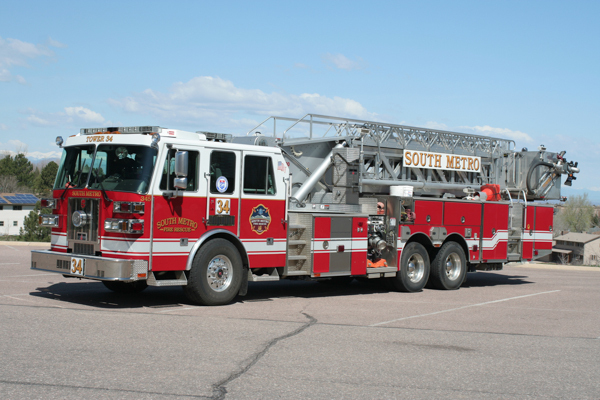 (345) 2006 Sutphen HS-4064 100′ mid-mount platform 300 gallon water tank / 1500 gpm pump. 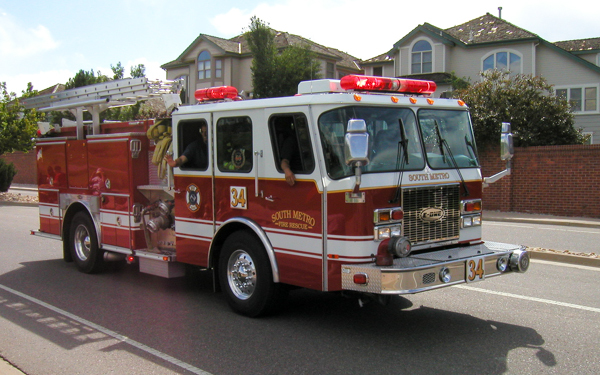 1999 E-One Cyclone II, shown here with the older logos, also ran as Rescue 35 and is currently running as Rescue 38. 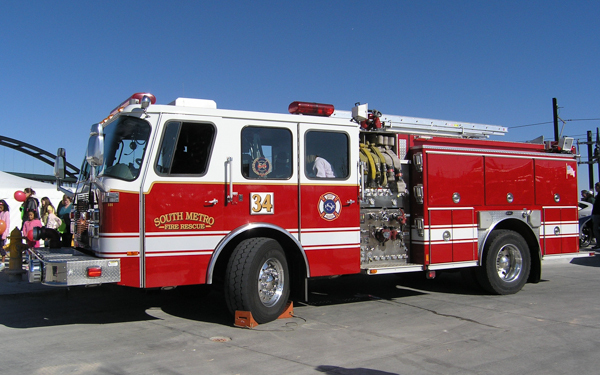 (540) American LaFrance / LTI, former Parker Quint 76. 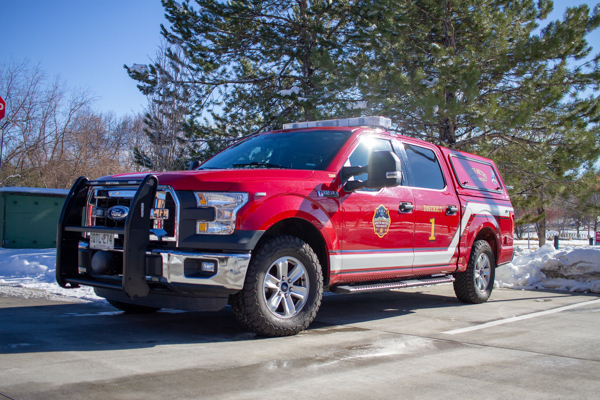 Ford / Wheeled Coach 4×4. 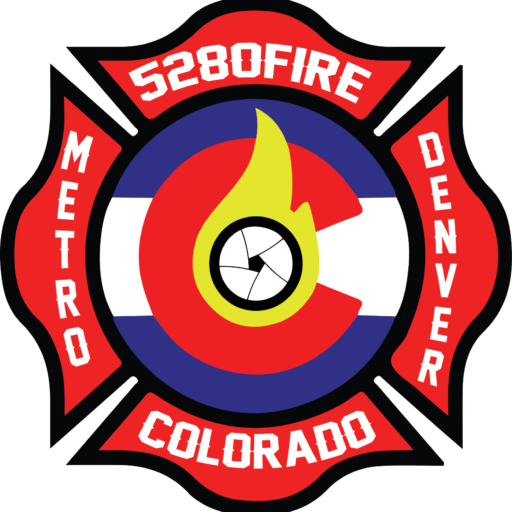 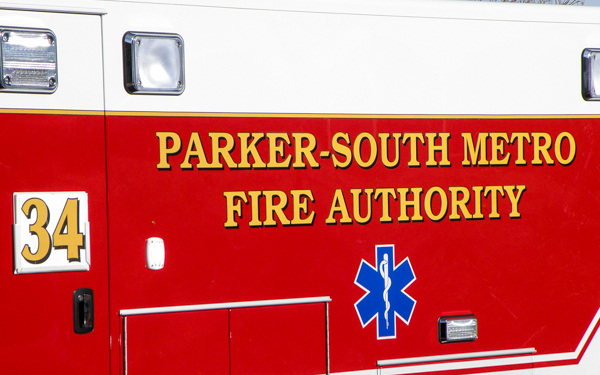 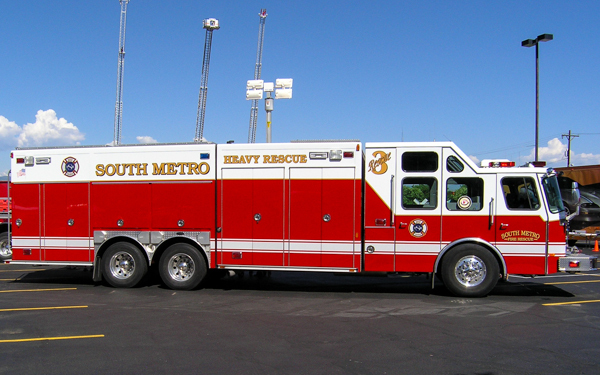 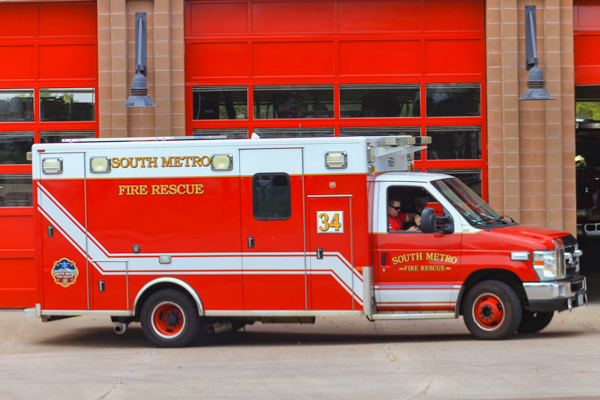 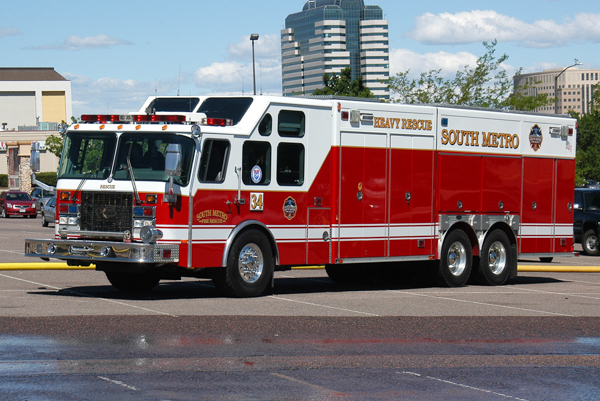 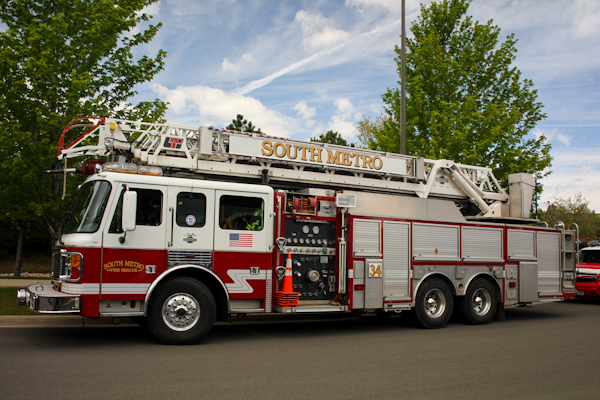 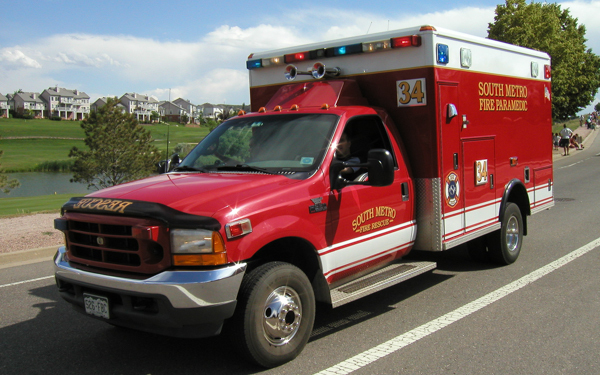 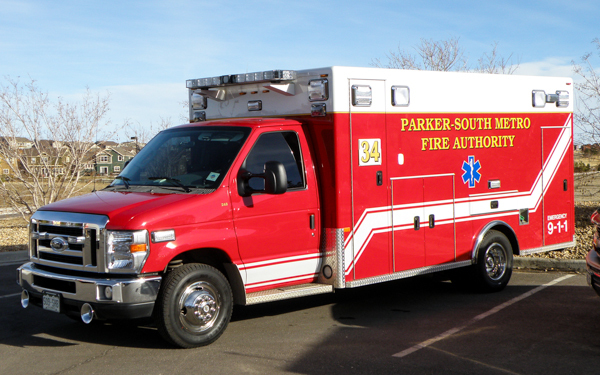 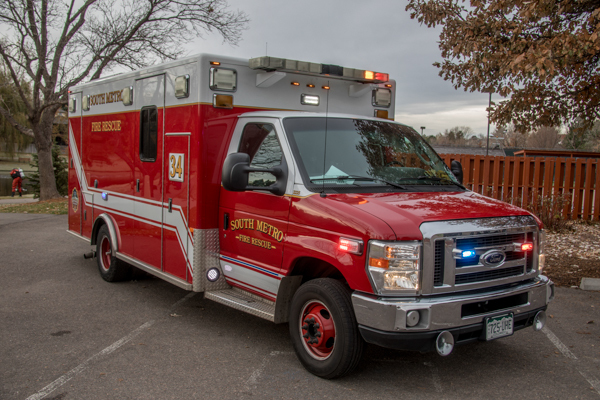 (248) Ford, shown here as Parker-South Metro Fire Authority. 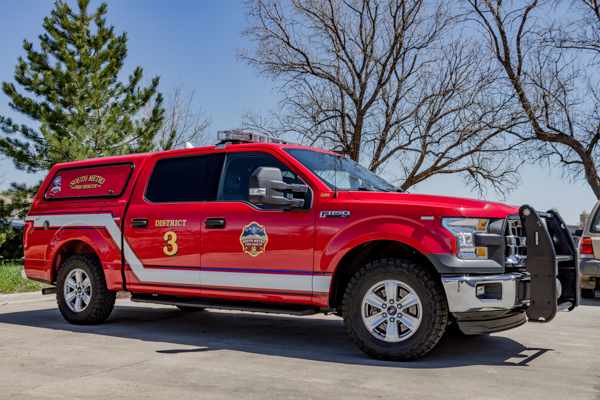 (242) Ford F-550 4×4 XL Super Duty, also ran as Brush 47. 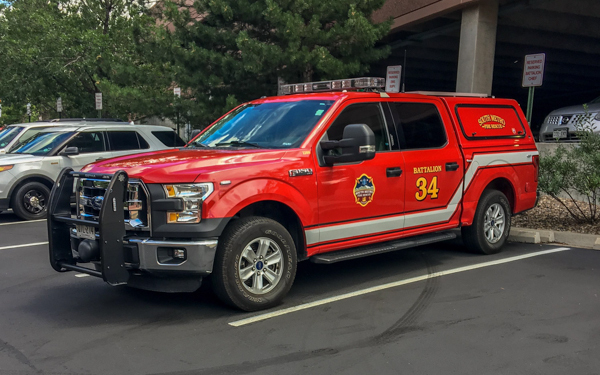 (2200) Ford F-150 4×4 XLT Super Duty, became District 3. 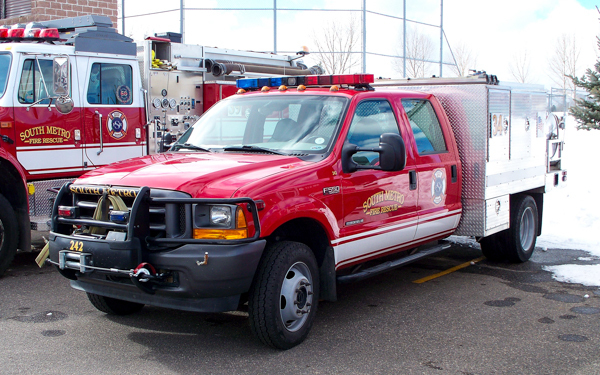 (2200) Ford F-150 4×4 XLT, former Battalion 34 and became District 1. 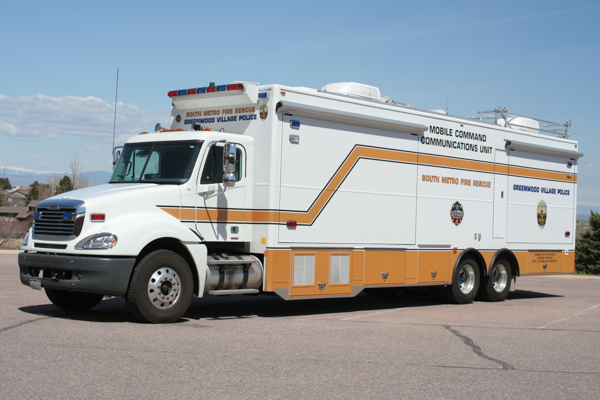 2005 Freightliner Columbia / 2006 MBF PS (South Metro / Greenwood Village Police Department Mobile Command Communications Unit), this unit was relocated to Station 32 and more photos of Command 3 can be found in Command / Support.